The Shima Imperium verges on collapse. The land has been poisoned by clockwork industrialisation, the Lotus Guild’s machine worshippers oppress the people, and the Shogun cares for power more than the country he rules. Griffins are supposed to be extinct. So when Yukiko and her warrior father are ordered to hunt down a ‘thunder-tiger’ for the Shogun, they fear their lives are over. Failure is not an option. Superbly crafted and absolutely spellbinding, Stormdancer is certainly an impressive Australian debut! There is so much to love about this book and the world the author has created, its loveable characters and unique history and mythology. My favourite thing about this story is the manner in which it is told: it begins with the griffin rescuing Yukiko from demons, and then backtracks to show us how she got there. Readers are gradually and cleverly introduced to a cast of characters teeming with personality, from Yukiko’s father, the Hunt Master and his best friend and side-kick Akihito, to the Shogun, his sister and his loyal guards. While the story is told mainly from Yukiko’s point of view, chapters from most of the secondary characters are interleaved throughout to add depth and progress the narrative. The world coalesces beautifully – a perfect marriage of Asian influenced culture and mythology, steampunkery and dystopian elements. 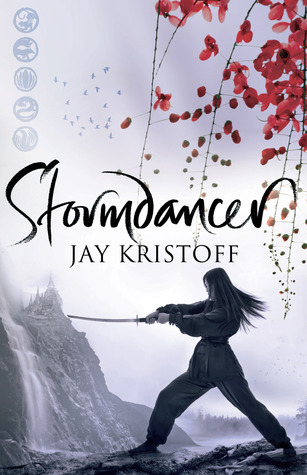 Fans of Lian Hearn’s The Tales of the Otori will revel in the Japanese style culture Kristoff seeps his world in – with lush descriptions of clothing and weaponry, strict social structure and fanatical pursuit of honour. The dependence of the Shima Empire on the blood lotus for everything from tea to fuel is a little frightening, polluting the world and choking its rivers, killing all living things. But I realised we probably depend on crude oil in a similar manner! The Lotus Guild, who control the Blood Lotus and the fuel made from it, have extraordinary power in the world and it was fascinating to get to know more about them as the story progressed. While I feel that the islands of Shima have been explored adequately, I would love to see more of the world outside the Empire, especially at the forefront of the war and the gaijin territories – but I guess the author had to leave something for the forthcoming books. Another small complaint is that a reader potentially has to rely heavily on the glossary to understand the story. While I didn’t have this issue, I imagine those unfamiliar with the terms, clothing and weaponry might be overwhelmed. 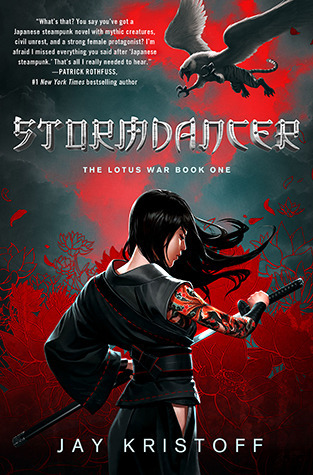 There is romance in Stormdancer – it’s sweet and cute, but mostly based on Hiro’s eyes, which is a little odd to be honest. There really isn’t any reason for Yukiko to love him aside from his awesome good looks, and this bothered me a little, especially because it’s fairly obvious from the get-go that he believes whole heartedly in the Shogun and the Guild. Yukiko is a young lady I easily empathized with because she is so realistic. Her feelings of animosity towards her father are understandable, her disillusionment with the Empire and all it stands for is natural because of the life she has led. I loved the development of her bond with the griffin, Buruu. He is so alien: ferocious and wild, with the awesome power of the storms and thunder behind him, and yet eventually they form and understanding and become dear to one another. The griffin also develops a sense of humour, and some of the funniest parts in the book centre around his antics. 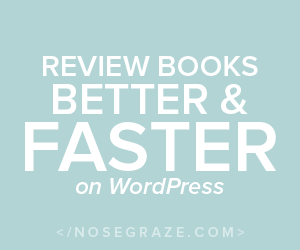 So there you have it – I loved everything about this book and have read it twice already – once when I got it, and once last week to brush up before completing the review! It’s a wonderfully complex, lovingly realised narrative that readers will lose themselves in, and I think it has impressive cross-genre appeal.